Clustered regularly interspaced short palindromic repeats (CRISPR) are inheritable genetic elements of a variety of archaea and bacteria and indicative of the bacterial ecological adaptation, conferring acquired immunity against invading foreign nucleic acids. Shigella is an important pathogen for anthroponosis. This study aimed to analyze the features of Shigella CRISPR structure and classify the spacers through bioinformatics approach. Among 107 Shigella, 434 CRISPR structure loci were identified with two to seven loci in different strains. CRISPR-Q1, CRISPR-Q4 and CRISPR-Q5 were widely distributed in Shigella strains. Comparison of the first and last repeats of CRISPR1, CRISPR2 and CRISPR3 revealed several base variants and different stem-loop structures. A total of 259 cas genes were found among these 107 Shigella strains. The cas gene deletions were discovered in 88 strains. However, there is one strain that does not contain cas gene. Intact clusters of cas genes were found in 19 strains. From comprehensive analysis of sequence signature and BLAST and CRISPRTarget score, the 708 spacers were classified into three subtypes: Type I, Type II and Type III. Of them, Type I spacer referred to those linked with one gene segment, Type II spacer linked with two or more different gene segments, and Type III spacer undefined. 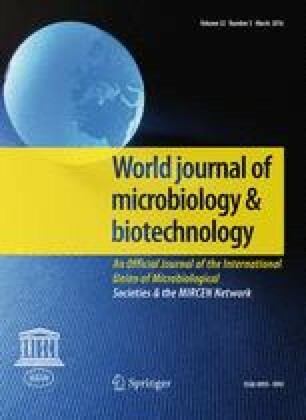 This study examined the diversity of CRISPR/cas system in Shigella strains, demonstrated the main features of CRISPR structure and spacer classification, which provided critical information for elucidation of the mechanisms of spacer formation and exploration of the role the spacers play in the function of the CRISPR/cas system. Pengfei Wang and Bing Zhang contributed equally to this work. The online version of this article (doi: 10.1007/s11274-015-2002-3) contains supplementary material, which is available to authorized users. The authors would like to thank the participants, coordinators and administrators for their support during the study. This study was funded by the National Science and Technology Specific Projects (2013ZX10004607). All procedures performed in this study involving human participants were in accordance with the ethical standards of the institutional and/or national research committee and with the 1964 Helsinki declaration and its later amendments or comparable ethical standards. For this type of study formal consent is not required. This article does not contain any studies with human participants or animals performed by any of the authors. Informed consent was obtained from all individual participants included in the study. Additional informed consent was obtained from all individual participants for whom identifying information is included in this article.